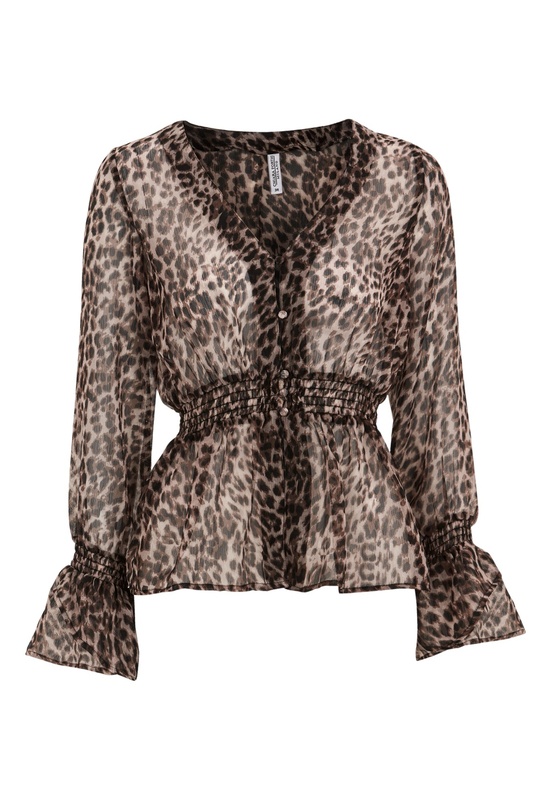 This season’s most beautiful blouse with leopard print from CHIARA FORTHI. The blouse is shirred at the waist and at the bottom of the sleeves, which gives the blouse a lovely shape. Total length of the garment in size 36: 64 cm.